Avon Tyres will be utilising ‘eco-friendly’ or ‘clean oil’ in its tyres from 2010 which, as well as being better for the environment, will increase the grip of some tyres in the range as a result. From January 2010, all new motorcycle tyres sold in the UK have to be made with clean, eco-friendly oil, which features low PAH (Polycyclic Aromatic Hydrocarbons). This is due to the concerns about the level of pollutants previously discharged into the environment throughout the life of a tyre. Avon’s Technical Product Manager for Motorcycle tyres, Peter McNally said: “We’ve been working hard with the change to ‘clean oil’ over the last two years because, if we want to sell tyres in Europe next year, we have to make this change. “Using clean oil has led us to redevelop some of the compounds in our tyres. 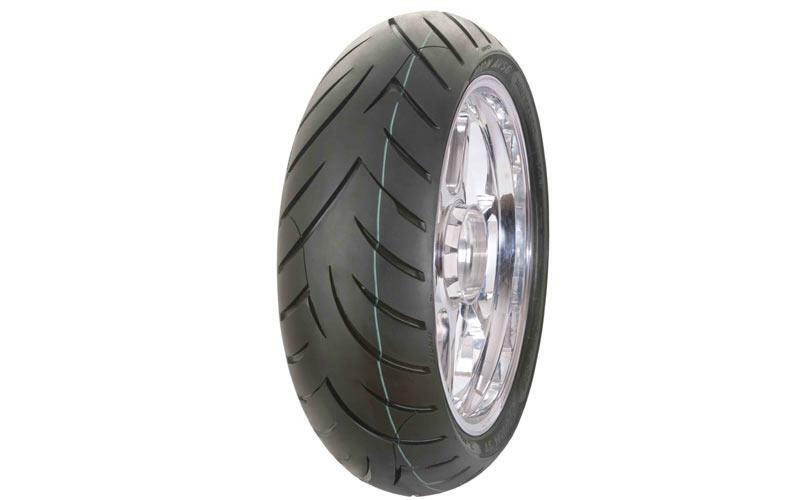 All Avon Tyres sold from January will be made with eco-friendly oil, including the new Avon Storm 2 Ultras, which made their debut recently at the Carole Nash International Motorcycle and Scooter Show. Avon’s Global Motorcycle Sales Manager Graham Matcham said: “Although the requirement for clean oil tyres is currently only required for European markets, all Avon motorcycle tyres will be manufactured to this new specification.